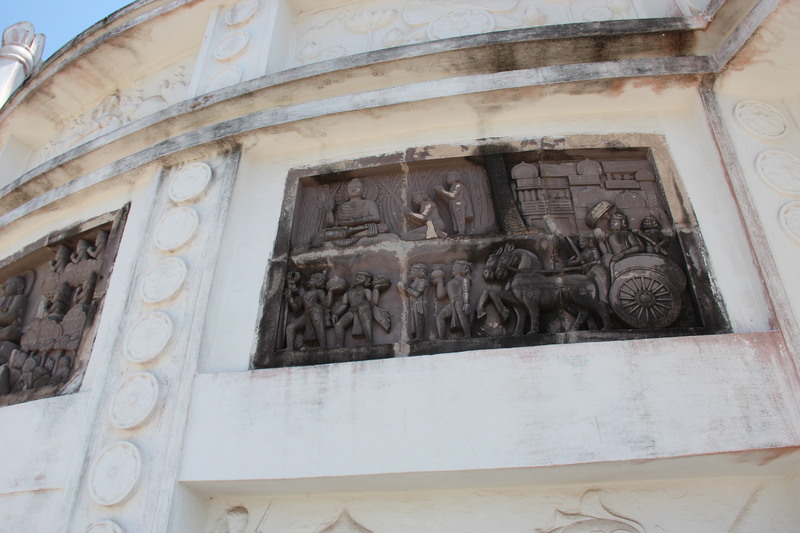 Welcome to one more narration of a historical place of significance that I just saw and visited in Orissa. 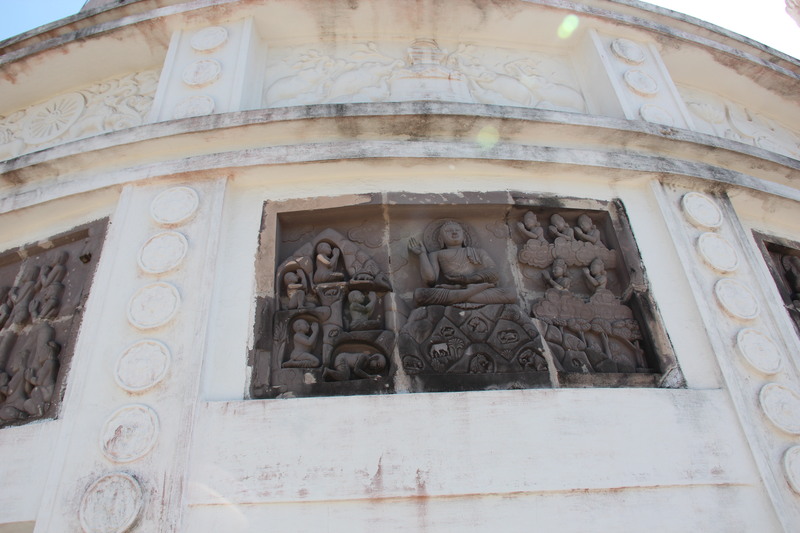 On 23rd Feb I saw the Black Pagoda, also called the Sun Temple. I had heard so much about it that I could not wait to see this master craftsmanship called the Sun Temple in the beach city of Konark. I have shared quite a many photographs of it in the last article ‘Another enthralling journey to India’s ancient heritage sites-III Konarka’ and you must have also found those pictures awe inspiring. When I was walking through the several levels and places of wonderful panels of artistry in Konark temple, I paid my homage and gratitude to all the technicians, sculptors and the immense hard work of the 1200 workers and masons who toiled excessively over a period of more than 6 years to make this beautiful monument around eight centuries ago. 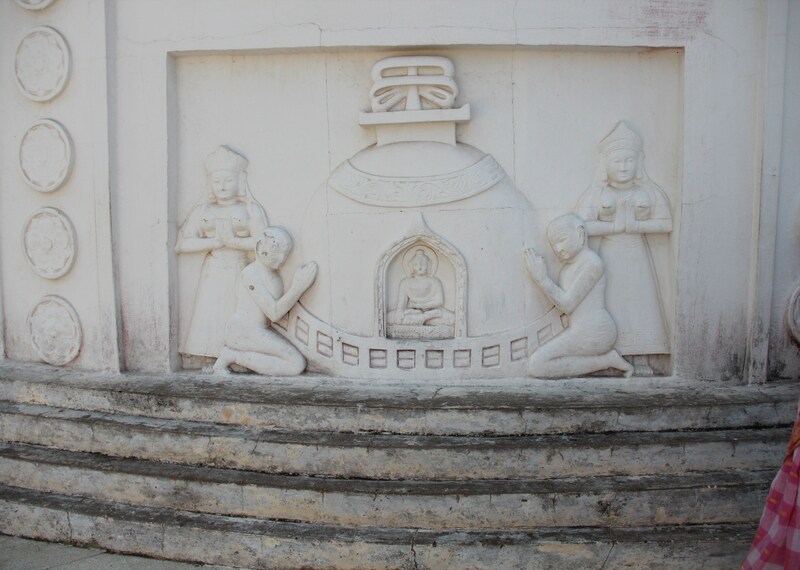 Even today it is strongly held true by the locals and others there that those 1200 workers were executed by one King because the temple’s construction did not go right in the manner the King wished and wanted . The foundation of the temple remained weak because there was some fault in its designing since beginning and therefore the temple in due course of time began to fall and crumble little by little. I thought to myself even when I was too preoccupied with taking pictures at the site that I must pay my respects and homage to all those 1200 workers, labourers who could not live enough to see the ready structure that they had made with their own sweat and hard labour. If only the Kings and Emperors rule peacefully, there would not have been so much futile killings and sufferings on this planet…. .I was pondering and lost in these thoughts before and after I saw the Sun temple and there was a hidden sense of pain inside which I did not express to anyone. I felt sorry for all the innocent lives that were taken away mercilessly for no fault of theirs. The same kind of feeling was resonating in me when I thought of the Kalinga war. 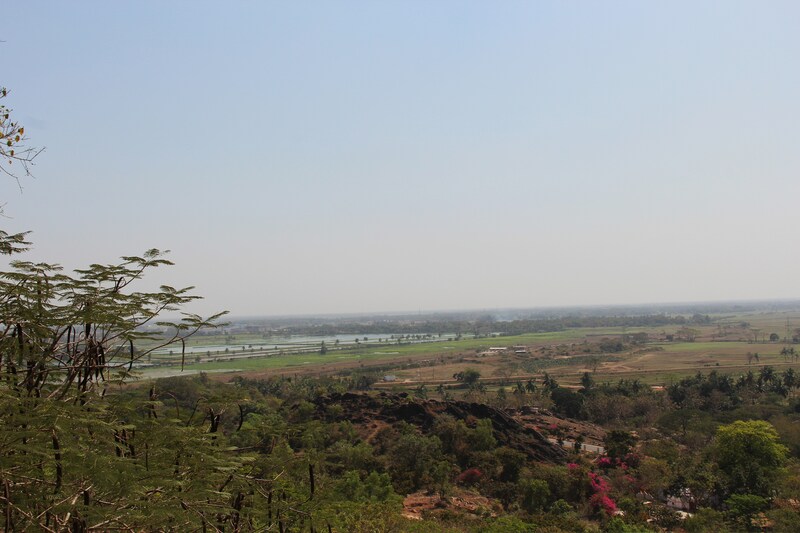 Long-time back in a stray moment as a young girl I had wished strongly to see Kalinga and Kurukshetra where the two most gruesome battles for land were fought on this subcontinent. I wanted to pray for all those lost lives and for world peace on that ground. When I read my history lessons in middle school I imagined the whole scene and sequence about the Kalinga war and it was pretty real for me even then. I could not believe it as a young girl that somebody could kill so many innocent people for the sake of becoming a bigger king and making his kingdom larger just to call himself Ashoka, the Emperor!! 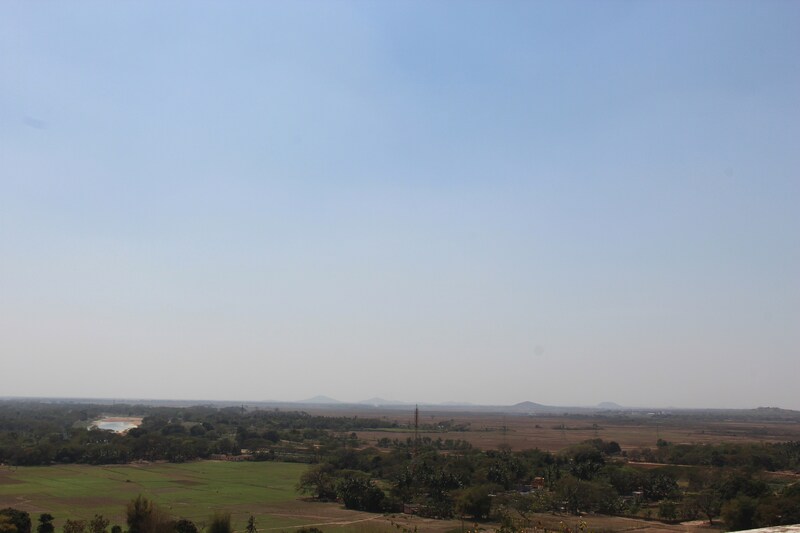 Since I arrived in Orissa, I was very eager to see the site where the heinous war was fought for the sake of just power! !Quite quirky for me even to this day!!! After I finished sightseeing at Konark’s Sun Temple, I moved ahead towards Bhubaneshwar around mid day. 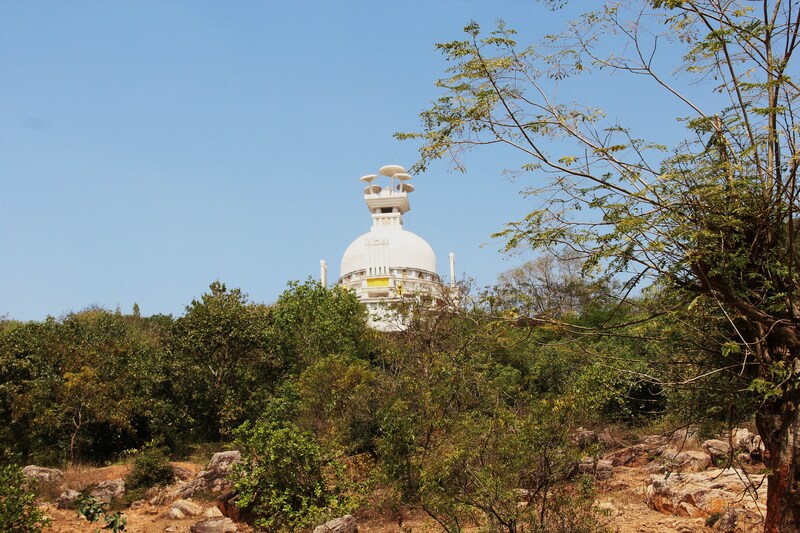 On my way just eight kilometres before the capital Bhubaneshwar, I stopped at Dhauligiri to see the Peace Pagoda. 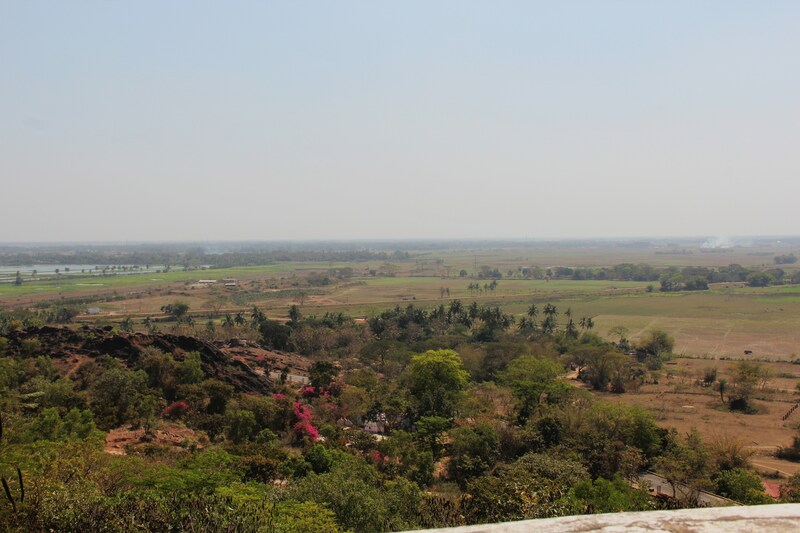 Before I describe this important place, I will have to go back more than two thousand years ago in India’s history for you to understand the great significance of this place. 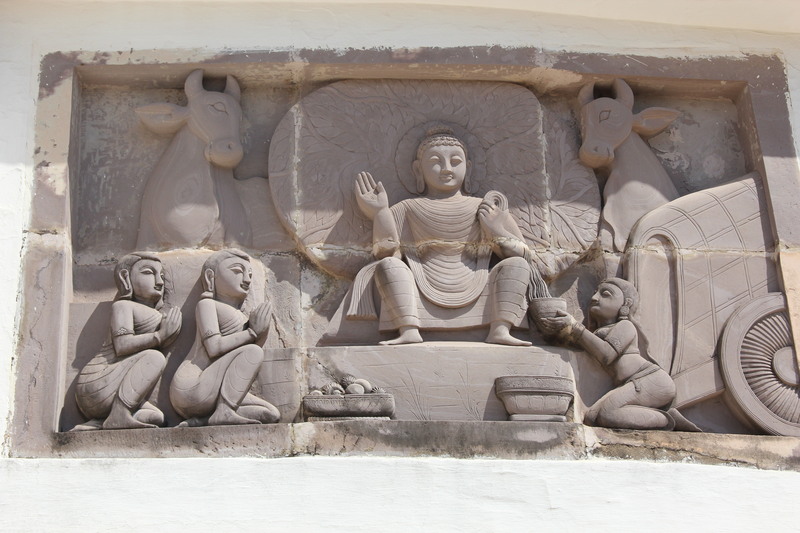 Magadha King Ashoka attempted to annexe Kalinga, today’s Orissa keeping in view of the policy of territorial expansion of Mauryas for political and economic reasons. 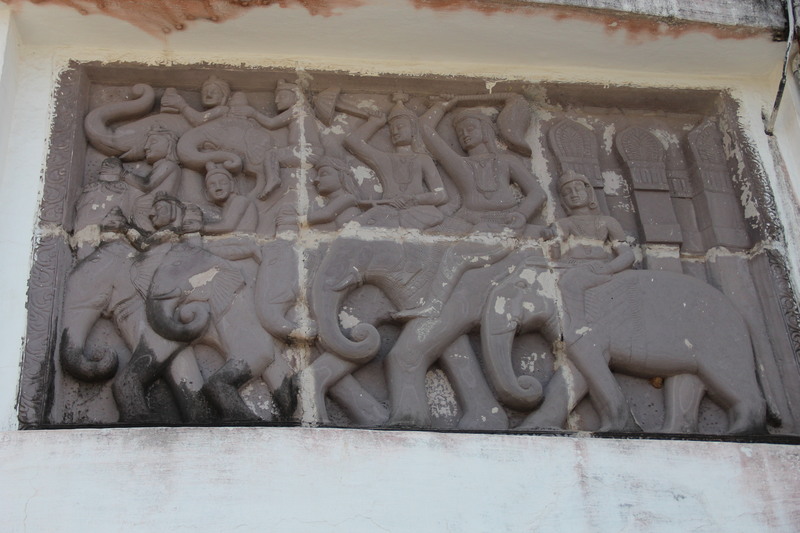 The people of Kalinga put up a stiff resistance but the mighty and brutal Magadhan army squashed them. 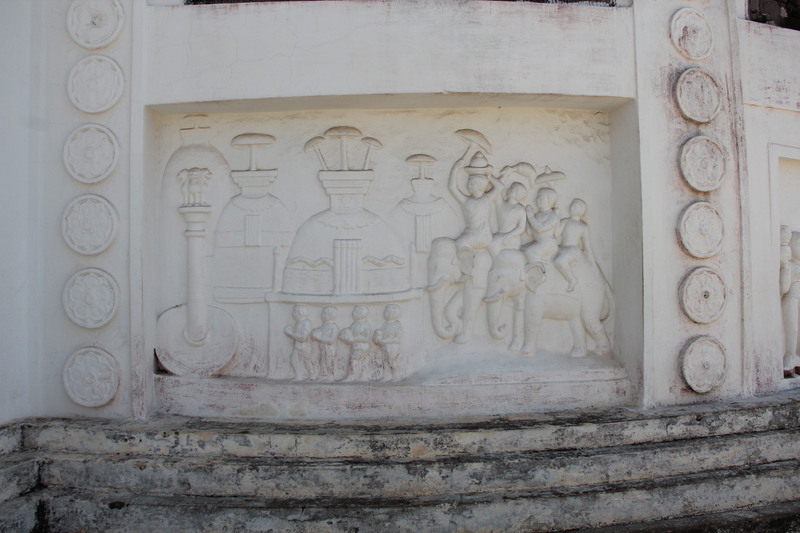 More than one lakh warriors and civilians of Kalinga dynasty and ten thousand of Mauryan dynasty were killed apart from colossal damage and destruction on both sides. 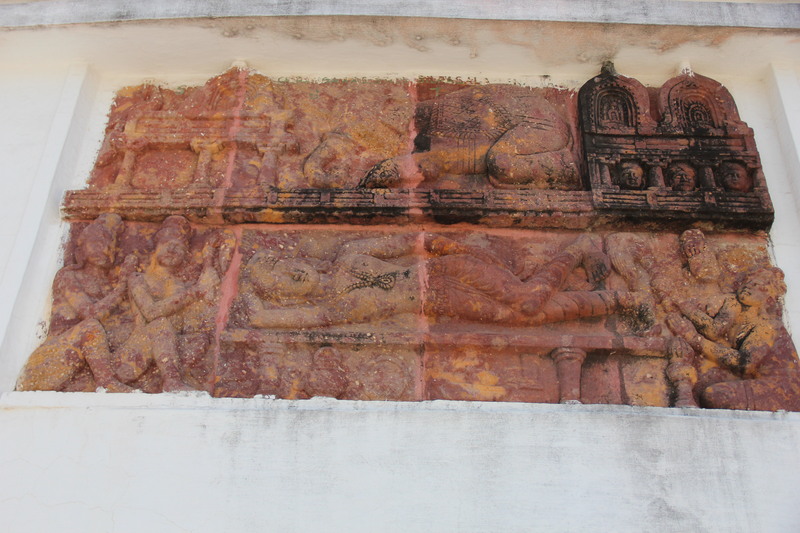 Kalinga was looted and plundered and people were captured and taken with them to Magadha. It is said that the nearby river called Daya river became red with blood with so much horrific death play that took place at the site. 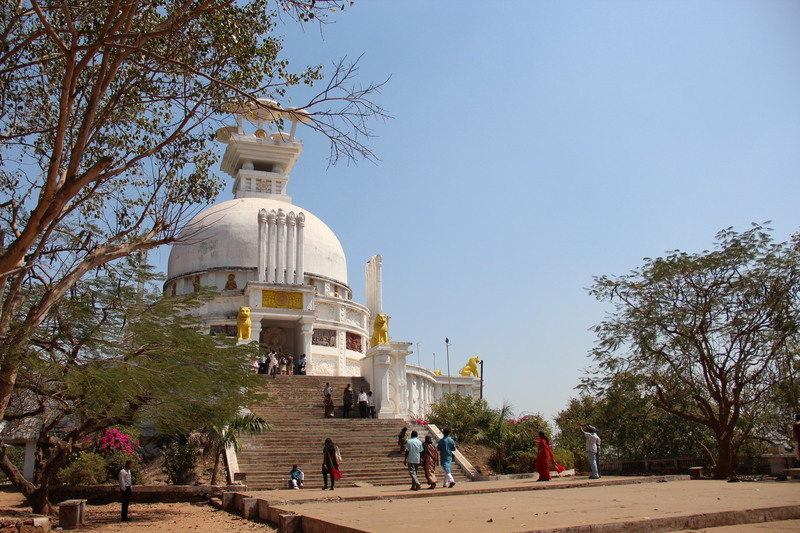 The site at which this battle took place is Dhauli, next to Dhauligiri hills just eight kilometres south of Bhubaneshwar. Even now the hill has vast open space adjoining it. 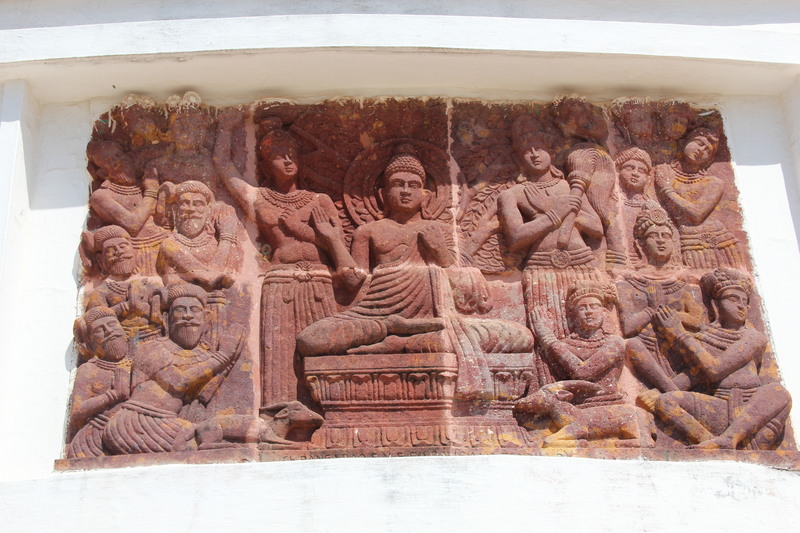 The unprecedented bloodshed of this war prompted Ashoka to adopt Buddhism. He laid down his weapons because he had seen so much blood and death before his own eyes and felt that he was the cause of so much destruction. 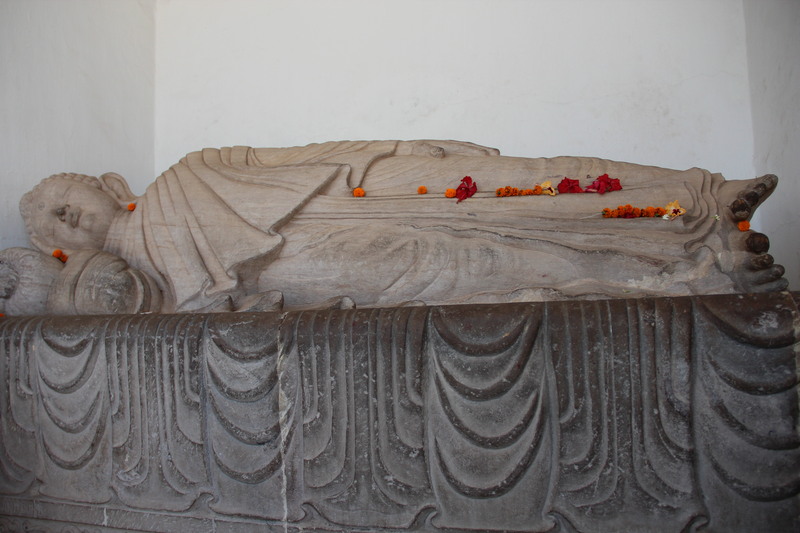 This war motivated him to devote the rest of his life to Ahimsa or non-violence and Dharma Vijaya victory through Dharma. He ended his military expansion and led his empire to peace, harmony and prosperity for the rest of his life. 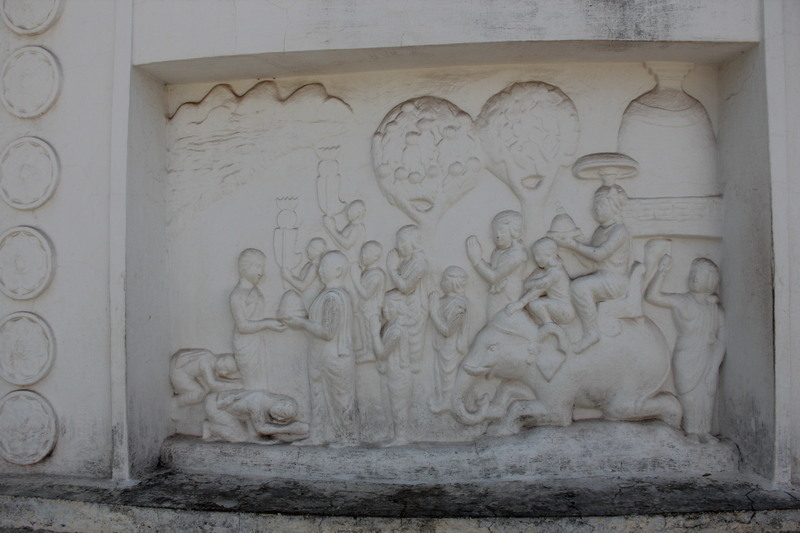 He saw to it that Dhauli became an important centre for Buddhism activities. 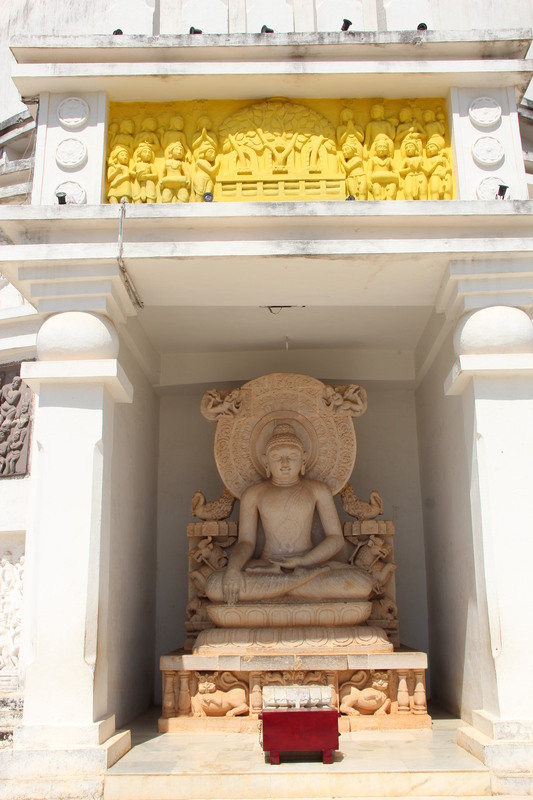 He built several Viharas, Chaityas and pillars there. 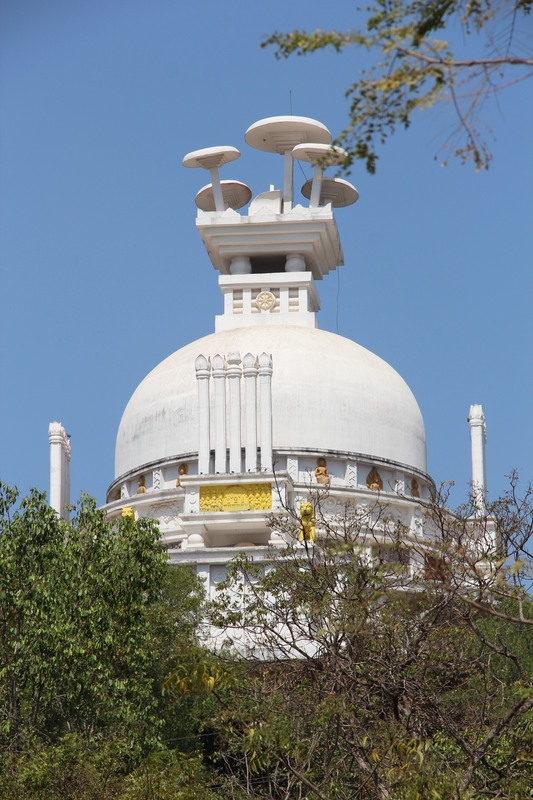 Today there is a dazzling white peace pagoda that was built by the Indo Japanese efforts. 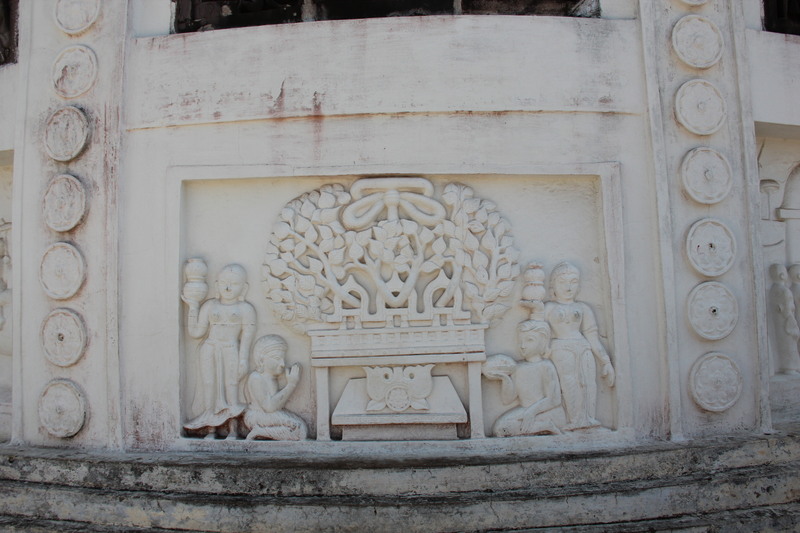 Japan Buddha Sangha and the Kalinga Buddha Sangha took the permission of the Central and local government and made this peace pagoda in 1972. 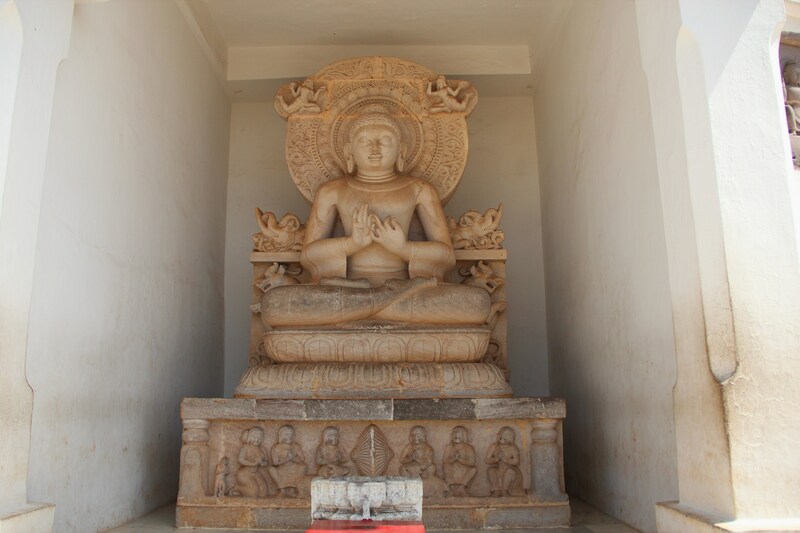 If you happen to get a chance to see this place, do not miss this opportunity because the pagoda has many panels of life incidents of Lord Buddha and some of King Ashoka’s submission and propagation of Buddhism in this land. I am grateful to God and my Gurus for making my heart so sensitive so as feel it important to take some time off from my busy schedule and dedicate my prayers and silent peace intentions for those unknown dead innocent souls! My silent prayer to Mother Earth to bring more peace in our thoughts and minds so that there is no violence and merciless killing around us and we may live in peace and tranquility forever!! You are currently browsing the Spirit in life blog archives for the day Saturday, March 3rd, 2012.